TORONTO / March 25, 2019 – Porter Airlines will be flying to Muskoka Airport with the introduction of 2019 summer service. Popular with outdoor enthusiasts, Muskoka has established itself among the world’s iconic summer retreats. Flights will have an air time of approximately 20 minutes, operating twice weekly on Thursdays and Mondays between Billy Bishop Toronto City Airport and Muskoka Airport, from June 27 to September 3. Connecting flights are available via Toronto for numerous Porter destinations in the U.S. and Canada. Travellers can soak up stunning scenery, from picturesque historic towns and villages to iconic Algonquin Park, and the area’s famous waterways, including beautiful Georgian Bay. Muskoka offers a charming variety of amenities with golf courses, marinas, camps and cultural attractions spanning the region. Thursday 1:10 p.m. 2:20 p.m.
Monday* 9:20 a.m. 10:30 a.m.
*Tuesday departure during long weekends. 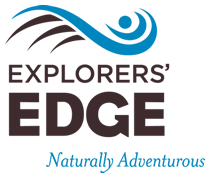 As part of an exceptional visitor experience in Muskoka and surrounding areas, Explorers’ Edge will also introduce a seasonal shuttle bus service at the airport to deliver Porter passengers to accommodations across the region. The organization will also offer a traveller incentive for tourists who book a flight and accommodation, to the tune of $100 CDN in spending vouchers. Flights are currently available for booking on Porter’s website and through travel agents. For complete schedule and booking details, visit www.flyporter.com. The airline currently offers flights to Toronto, Ottawa, Montreal, Quebec City, Fredericton, Saint John, Moncton, Halifax, St. John’s, Stephenville, N.L, Thunder Bay, Sault Ste. Marie, Sudbury, Timmins, Windsor, New York (Newark), Chicago (Midway), Boston and Washington (Dulles), and has seasonal flights to Mt. Tremblant, Que., Myrtle Beach, S.C., and Orlando-Melbourne, Fla.
Visit www.flyporter.com or follow @porterairlines on Instagram, Facebook and Twitter. RTO12 is one of thirteen regional tourism organizations funded by the Ontario Ministry of Tourism, Culture and Sport. Mandated to build the regional tourism industry in Algonquin Park, South Algonquin, Almaguin Highlands, Loring-Restoule, Muskoka and Parry Sound, Ontario, the agency was established in 2011 and is overseen by a volunteer Board of Directors composed of tourism business owners. RTO12 is also known by its consumer-facing branded identity, Explorers’ Edge. RTO12 recently commenced its 5-Year Regional Tourism Strategy, which includes increasing visitation from and spend by international travellers. For more information, visit rto12.ca or explorersedge.ca (domestic audiences), or www.thegreatcanadianwilderness.com (international audiences). This entry was posted in Events, News by james. Bookmark the permalink.